As long-established funeral directors in Clacton-on-sea, we are here to help you every step of the way with planning a funeral for your loved one. You are welcome to visit us at our Holland Road branch - please call us on 01255 815600; or you can contact us out of hours on 01206 868585 (we are available 24 hours a day). Our team of Matt, Roy, Gerry and Fran are also available to visit you in your own home. Please read our helpful guide as to what to do when someone dies; or we can talk you through the funeral process, step by step. Please remember, you are not alone, we are here to support you at this difficult time. 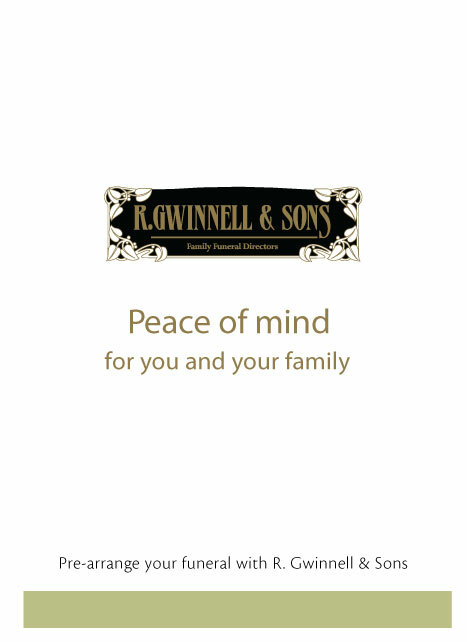 R Gwinnell & Sons Funeral Directors in Clacton also serve surrounding villages including Alresford, Little Clacton, St Osyth and Thorrington.